To improve the lot of women barristers on the Western Circuit. To encourage and help more Western Circuit women to stay at the Bar. To encourage and help more Western Circuit women to become QC’s or judges. The WCWF does not require membership, but welcomes participation and ideas from all Circuiteers and has a steering group of nine: two silks and seven juniors in different disciplines, different calls and from all corners of the Circuit. 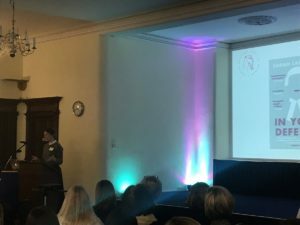 The WCWF runs social, networking and training events, has commissioned research projects and coordinates lobbying on issues that affect women barristers. We liaise with other organisations such as the Bar Council and CBA about policy and working practices, and with the QC Secretariat and Judicial Appointments Commission to ensure we can provide help with career progression. Importantly we run the Circuit-based mentoring scheme for young women barristers. The WCWF is funded by the Western Circuit and the Inns of Court. Administrative support is provided by Albion Chambers, Bristol. Women have made up 50% of women called to the Bar for the last 17 years or so. 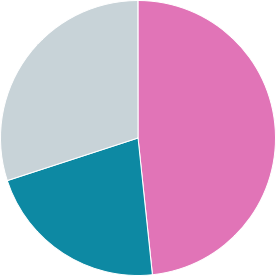 However, only 31% of self employed barristers over 15 years call and only 14.8% of all QCs are women. On the Western Circuit only 21% of court judges – from DJ’s to Heads of Division – are women (even lower than the national average of 29%). A snapshot: of the 38 judges sitting on criminal cases across the Western Circuit on the 13th November 2018, only 4 were women (including two High Court judges). There is no trickle up effect; women are still leaving on masse. This cannot simply be attributed to women ‘choosing’ not to work: the employed Bar boasts far better representation of women. There are clearly factors embedded in self employed practice which make it difficult for some women to remain. The Bar Council’s 2015 Report on Creating a Diverse Profession gives a fuller breakdown of the figures. Lord Chancellor, David Gauke and the Senior President of Tribunals, Sir Ernest Ryder gave keynote speeches on the importance of diversity in the legal profession in late 2018. The 2018 judicial diversity statistics show the South West with the lowest female representation at 21% lagging behind other areas. Representation was highest in the South East at 39%. We have had our successes and a small improvement in the figures is evident. 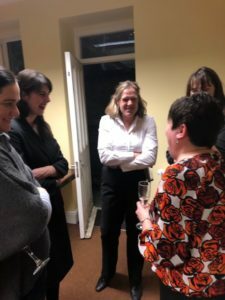 In 2018 the Western Circuit gained 4 more female judges and 2 more female QC’s, including WCWF steering group member Jo Martin QC who spoke about the importance of the support she had received from the WCWF in an interview with her local paper. Women also appear to be substantially underrepresented throughout the Criminal Justice System compared with males. You can read the latest MoJ statistics here. WCWF is proud to have set up the first Circuit-based mentoring scheme, which is run by Selena Plowden. Every female barrister on the Western Circuit under 10 years call has been allocated a female barrister over 10 years call as a mentor. That is about 70 pairs. Circuiteers over 10 years call were invited to volunteer to be mentors, and we had such an enthusiastic response we had a surplus of mentors. Mentees were not asked to put themselves forward, but, rather, were allocated a mentor and invited to withdraw from the scheme if they did not welcome it. We matched younger women with a mentor in the same practice area, in different chambers but in the same town where possible. Please do get in touch either direct with Selena or with the WCWF if you haven’t been allocated a mentor, wish to be a mentor or have a problem with the scheme. 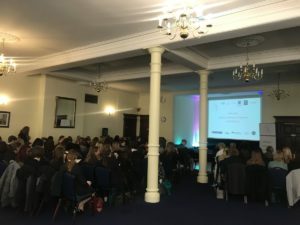 The rationale for the scheme is based on the Bar Council’s Snapshot Survey in 2015 which identified that many of the challenges facing women barristers were gender-specific. The Snapshot recommended both mentoring and providing highly-visible female role models. Mentoring in the workplace has a proven track record in various sectors and especially in industries where there is a gender imbalance, and recent research provides evidence of the link between lower levels of stress and mentoring among barristers (Wellbeing at the Bar). 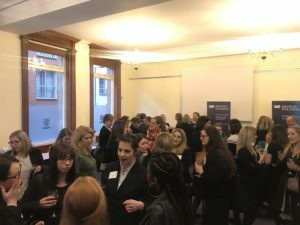 We may appear to be awash with mentoring schemes, but only a small minority of barristers have a mentor, and it is particularly difficult on the far reaches of the Circuit to access support and events which are based in London. Thus apart from the Circuit-centric approach, two elements of the scheme set it apart from other mentoring programmes. Firstly: after much debate we decided to involve only women mentors. WCWF recognises that many women have been superbly mentored by senior men and the scheme is not intended to be divisive or discourage such relationships. However, despite the surprising lack of data available to show why women leave, it is incontrovertible that one of the major causes is the difficulty of combining primary caring responsibilities with a career at the Bar which is known to affect women more than men. 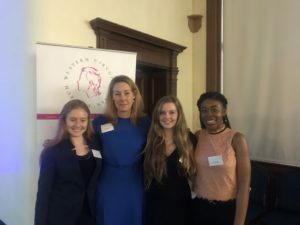 Allocating women mentors will make it easier for young women barristers to access advice about issues relating to primary care-giving/ parental leave, as well as ensuring that each young woman has a senior female role model. Secondly: we took the decision that automatic allocation was the best approach. 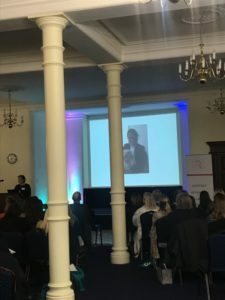 We did this become some women in focus groups conducted for the Snapshot project reported that they felt that they would be stigmatised as ‘pushy’ if they volunteered for any mentoring or career-progression scheme. We felt that an opt-out mentoring scheme was likely to result in higher take-up, and, thus far, we are heartened to report that feedback has been very positive. Mentors have spoken of a sense of camaraderie and pleasure at meeting junior members of the Bar outside of their chambers. Mentees have expressed how important it is just to know that a Senior member of the Bar is willing to act as a mentor, how it will help with motivation in returning from maternity leave and a sense of being able to talk about issues without feeling like a burden. Only one person under 10 years call withdrew from the scheme, but only because she had significant experience as a solicitor: she became a mentor. We are running a longitudinal survey with Portsmouth University to research the benefits of this mentoring scheme. Please do respond to the survey so that we can develop and improve the scheme. Please get in touch if you haven’t been allocated a mentor, would like to be a mentor or have any difficulties with the scheme. The Steering Group is made up of woman of varying seniority, who practice in different practice and geographical areas, and, with the help of other women on the Western Circuit, we should and can do something to change ‘The Figures’. We don’t suggest we have all the answers but we hope our own experiences, both professionally and personally, may give us some insight into issues facing women barristers. Kate Brunner QC is one of only a handful of female criminal silks on Circuit. Called in 1997. A Recorder and part time judge of the Upper Tribunal. Based at Albion Chambers, Bristol, she is married with two young daughters. Her Honour Judge Tacey Cronin is a Circuit Judge in the Family Court based at Bristol, who was called to the Bar in 1982. She is married with three adult daughters. Catherine Flint became a tenant at Queen Square, Bristol in 2016 and has one young son and cats. Rachael Goodall is a family practitioner at 3PB Barristers, Bournemouth. Called in 2000. She is married with two young children. Amy Lush is also a family and property practitioner at 3PB Barristers and was called in 2013. Jo Martin QC is a criminal barrister at Devon Chambers, Plymouth and a Recorder. Called in 2005 but formerly a CPS Solicitor and appointed a silk in 2018. She lives with her partner, Mary. Carol Mashembo is a family practitioner at Magdalen Chambers, Exeter. Called in 1999. Married with a toddler aged 2. Selena Plowden is a Clinical Negligence practitioner at Guildhall Chambers, Bristol, called 1991. She also sits as a Mental Health Judge. She has three, no longer small, children. Caighli Taylor was called in 2010 and, based at Guildhall Chambers, specialises in crime. Emma Cross is a new tenant at Devon Chambers having completed pupillage in October 2018. She runs our Twitter feed and acts in her spare time. In the lead-up to the conference, we launched an essay competition for undergraduate and postgraduate law students studying and training in Bristol, Exeter and Plymouth. The overall winner was Nicole Hilton, an LLB Law student at Bristol University. Congratulations Nicole! You can read her full essay here. 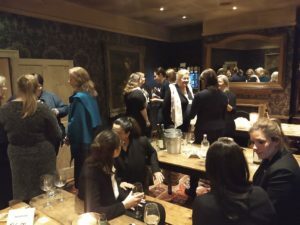 We really enjoyed meeting Western Circuit women barristers at our January Drinks events in Bristol, Plymouth and Winchester. We look forward to hosting similar events in the future. Thank you in particular to Guildhall Chambers for sponsoring our Bristol event and Devon Chambers for hosting the Plymouth event. The WCWF has published a number of papers reflecting the issues that impact upon and affect Women at the Bar. Our articles, published in Counsel Magazine explain our mentoring scheme and express our views on harassment at the Bar. WCWF together with the Education Committee of the Western Circuit successfully campaigned in 2018 to make amendments to the requirement for automatic reporting requirement for any barrister who hears of harassment. As a result the BSB has announced changes, adopting the prototype submitted by Circuit. The Western Circuit has set up the first harassment reporting scheme under the new BSB waiver rules and produced a proforma to assist other groups who wish to do the same. The WCWF Observations on Extension of Court Sitting Hours received wide circulation and you can read our latest response to Flexible Court Hours here. The WCWF has published the result of their survey on the obstacles and aids to parents returning to the Bar. The survey Back to the Bar offers recommendations on how to ensure those who wish to return, are able to return. The survey has been widely discussed featuring on Radio 4 Woman’s Hour and in an article by the WCWF for the University of Exeter. We invite any woman Circuiteer to get in touch with us if they are considering applying for any career progression opportunity – from applying to the CPS Panel for the first time to a judicial appointment. We can, and are happy to, provide you with personal, free, expert and confidential advice on all competency-based applications including assistance with forms and interviews. We can put you in touch with silks and judges if you would like to know more about any role you are considering. Please get in touch with us at wcwf@westerncircuit.co.uk or email Kate Brunner QC direct. 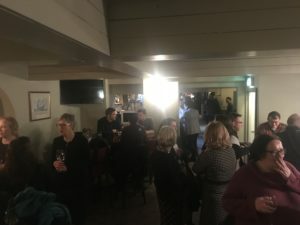 The WCWF is committed to eradicating harassment at the Bar. Please contact us at wcwf@westerncircuit.co.uk about any issue. We collaborate with other groups including Behind the Gown and Women in Criminal Law and are always pleased to hear from other groups promoting gender diversity. Please read the comprehensive guidance given by Bar Council here. You can also read the notes of Professor Jo Delahunty QC’s lecture on sexual harassment at the Bar here.